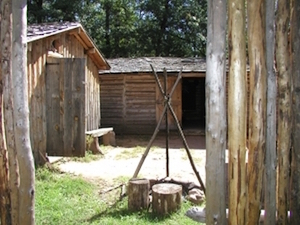 Memorial Weekend – Labor Day Weekend: Wed - Sun 10am - 4pm. Tours begin every 45 minutes starting at 10am, the last tour starts at 2:30. Tours are approximately 90 minutes. After Labor Day, tours only on Saturday in September. 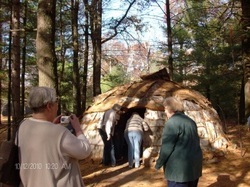 Groups may schedule tours by appointment. You can call us at 715 866-8890 or email us using the form on the right. There are no tours available from November through late April. 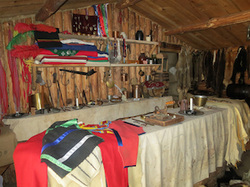 You will be educated and entertained as the period-dressed guide speaks about the life and culture of these early occupants. 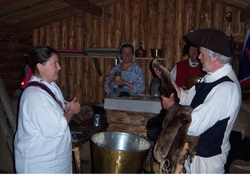 The walking tour, with period-dressed guides at the sites and visits to the museums is completed in about two hours. ​Our tour includes uphill and downhill walking. We have a golf cart available to assist visitors. ​"I wanted to send you a personal thank you for hosting our Wisconsin Maple Syrup Producers Association’s Fall Tour. We received many comments about the event and everyone was very impressed with the tours at the Forts as well as the food." $8.00 Seniors, College Students and Military (active and veterans), ID is required. Group rates available for groups over 10 people. Rates vary depending on size and demographics of group.